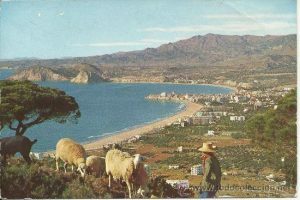 one of the main tourist destinations along the Costa Blanca. 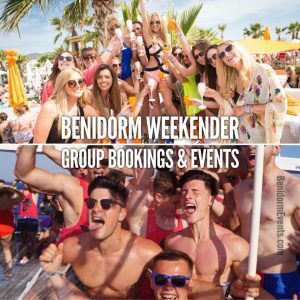 wide variety of accommodation, restaurants and Transfers and activities means it’s a hit with tourists from all over Spain and Northern Europe. 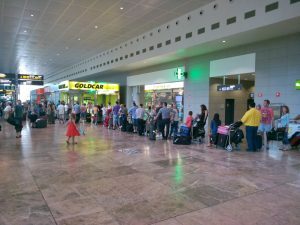 Alicante transfers also have from vitos, party buss, limo’s for your arrival. follow this link to check which one suits you! From taking a long walk down the sandy beaches. swimming in the crystal clear waters. water sports, a boat excursion to the island of Tabarca. or a wander through Benidorm’s historic quarter, perched on a promontory. the old town is in great contrast to the wide avenues of the main tourist town. 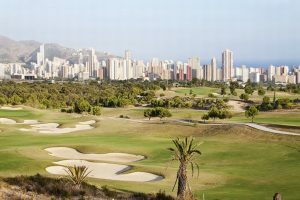 there are also the local cultural festivals, beautiful cuisine and great shopping; indeed it’s one of the Costa Blanca’s biggest tourist centres. full of fun, with a fantastic nightlife, but is also affords peace and tranquillity with its charming gardens and secluded coves. Truly a place with something for everyone, it’s no wonder it’s so popular. a good challenge to the serious and casual golfer alike. 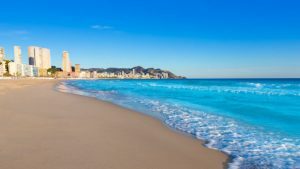 Without doubt, the beaches are one of Benidorm’s biggest attractions. Located to the north of the harbour, Levante beach is one of the most beautiful in the city. These emblematic sands are bordered by a busy promenade. filled with terraces and restaurants, which are very lively at night. Benidorm’s historic centre is located on a promontory, between its two main beaches – Levante and Poniente. This is the birthplace of the city, a primitive fishing town, dominated by the church of San Jaime. Erected in the 18th century, its bluish domes rise among an intricate network of narrow streets and alleyways, filled with picturesque little corners. On either side of the historic quarter lay wide avenues and commercial streets that make up the rather more modern Benidorm. Boat excursions to the little island of Benidorm – located in middle of the inlet – depart from the harbour. The diverse seabed makes it a scuba-diving paradise.